Have you ever gone in to a shop and felt confident that a particular size will fit you? If the answer is yes, you must be lucky because most shoppers find the issues with size endless. One particular size can change across garments, styles, seasons and brands. Customer are not the only ones who are impacted by inconsistencies in size. Returns rates are on the increase due to online shopping, which has an adverse affect on a brand’s profit margins and sustainability aims. Emerging markets - such a China, India and South Africa - present a huge opportunity for the fashion industry. It’s evident that brands (including Burberry and Gucci) are positioning themselves to appeal to emerging markets as they seek to capitalise on new spending power rather than focus on mature markets such as the UK. This is having an impact on all areas of the business from changes in creative designer, marketing strategy to altering sizing and fit. A simple question but the answer changes depending on where you’re shopping, how the designer intended it to look and how you want to look in the garment. Size is a size label, a size set, something that we can use to understand and decide what we are buying. This should - but is not - accurate, determined by data, free from opinion. Fit is the way something looks on our body - tight, loose, high waisted, cropped. The fit of a garment can be a style too - boyfriend, oversized, skinny. Fit is something of design and opinion. Not concerned with accuracy but with style and comfort. The issue is that brands confuse the two and use size as part of their marketing strategy to attract a specific demographic. This is known as vanity sizing in the industry. Think of a UK size 10 at Topshop, Jaeger and Chanel. The size measurements are very different because they are appealing to very different customers. Recently H&M have recently changes their UK womenswear sizes after years of complaints from customers that the clothes are smaller than expected. We shared a photo of this change on instagram, which resonated with a lot of our community, this alongside other drivers (such as the impact on sustainability) has pushed us on to explore the topic in more depth. The current average UK women’s size is 16. The only historic UK national sizing survey carried out in 1951 used manual equipment to measure women (men were not measured). The data of this survey is open to opinion, bias and human error so we cannot completely consider it to be fully representative of the UK population at that time. However it is the only data set we can use for comparable purposes. The results showed that women had on average a 27.5inch waist, which would now be considered a UK size 10 (with most high street fashion brands) or 14 (if you use a Kennett Lindsell tailors dummy). In July 2001 SizeUK, a collaboration between the Department of Trade and Industry, British high street retailers and academics announced the first ever UK National Sizing Survey. Between July 2001 and February 2002 over 1.5 million measurements were taken from more than 11,000 people across the UK using [TC]2 bodyscanners, a revolutionary 3D body scanning system. The survey has since been used as a basis for other sizing surveys, including SizeUSA. These results showed an average 34inch waist, a size UK size 21 (if you use a Kennett Lindsell tailors dummy). It’s evident that we have changed, you look at vintage clothes and they fit differently, the shape and proportions are different. To get a better understanding of women and their clothing from the 1951 survey I spoke to Fleur McGerr who’s love of 1940s/50s clothing and lifestyle has been documented through her blog - The Diary of a Vintage Girl - since 2008. Fleur’s intimate understanding brought about by living and breathing the life of a vintage girl alongside her eloquent writing has won her much coverage and sought after influencer partnerships. We now exist in a world where thanks to technology we can collate data with more accuracy and on a larger scale. However we still do not have universal size labelling across all fashion brands. The popularity of wellbeing products, lifestyle and athleisure wear is something that looks set to stay. We are also under increasing pressure to focus on our health from governing bodies. The World Health Organisation (WHO) has labeled childhood obesity a global epidemic. It has been estimated that if current trends continue, one-fifth of boys and one-third of girls will be obese by 2020. Diabetes UK campaigns to raise awareness for the risk of type 2 diabetes by measuring your waist, which states all women for a healthy measurement need to aim to be less than 31.5inches. However these concerns for our health also run alongside campaigns for a more body diverse and inclusive fashion industry. Recently Cosmopolitan Magazine under the guidance of Editor Farrah Storr featured Tess Holliday - who describes herself as a “body positive activist” - on their front cover, causing a storm across fashion and mainstream media. The model Ashley Graham uses her platform to promote #BeautyBeyondSize and speak at events such as Vogue Forces For Fashion in New York. This is evidence that the fashion industry are seeking ways to understand size and how it relates to fashion, from a fit and cultural perspective. Pushing the dialogue forward are organisations such as Fashion Roundtable who, through their Body Image and Identity Politics events featuring speakers including Caryn Franklin MBE, Kelly Knox, Grace Woodward, Farrah Storr and Chidera Eggerue enable a real understanding of the complexities of the subject and how that affects us physically and mentally. In the UK and USA during the 1950’s and 60’s women may have been smaller but arguably not happier. According the Science Museum, during this period women were often considered to suffer from neurosis, anxiety, hysteria or depression as their behaviour was found to be ‘irrational’ or ‘unreasonable’ and as a result were overprescribed psychiatric drugs. Mother's Little Helper was the nickname for Diazepam (Valium) coined by a Rolling Stones song released in 1966. It has been recognised rather than looking at the cause of the ‘illness’ such as living up to the unrealistic ideals of creating a perfect home for their husband to return from a hard day’s work, women were given drugs and treatments such as electric shock treatment. Medical intervention for women as a method of suppression and control is unfortunately nothing new. If we consider women who rebelled against Victorian domesticity risked being declared insane and committed to an asylum. Within fashion we seem to focus on the visual extremes such as Kate Moss and heroine chic, creating an idolised, surreal version of something and pushing it as the new trend. What we don’t as frequently show is the ordinary or everyday. After all that’s not perhaps that provoking, headline grabbing or exciting. In order to create sizes that are not subject to bias, discrimination and human error, technology has stepped in. From data we can see the truth and the patterns that emerge. There are several companies using technology to solve one of fashion’s biggest problems, making clothes that actually fit. One such company, True Fit uses a structured data set that connects millions of detailed garment specs and detailed style attributes about products to the individual shopping behaviours of hundreds of millions of shoppers, millions of True Fit users, and transaction data from True Fit’s community of brands, retailers and registered users. A Japanese company, ZOZO, have created the ZOZOSUIT - a tight fitting black body suit with 350 white dots that serve as fiducial markers. Once the data is captured and algorithm applied, the wearer will receive a measurement that is unique to them. They can then buy ZOZO clothing, currently a few styles of tshirts, jeans and shirts. Innovation can provide accuracy but it cannot account for variables, such as posture or the years of experience of a pattern cutter. The Bureau are the UK’s leading fit model agency for clothing and shoes with clients including Burberry and ASOS. Combining technical expertise, the craftsmanship of garment making with technology, The Bureau not only supply models for clothing production sampling - traditionally called ‘a fit model’ - they also work with brands to show the best representation of fit for ecommerce. We spoke with Jonny Sydes, Co-founder and CEO of The Bureau, at great length about the issues with fit. The complexities and variants that he has made his business to decode. The combination of different reference points for The Bureau is what makes their offering stand out. They really understand the garment industry. 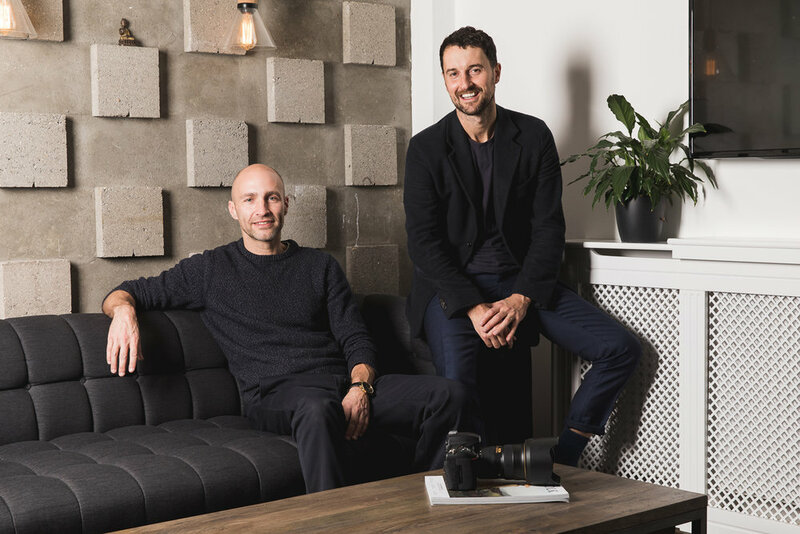 Jonny and his business partner Norv Bell, who have both worked for many years as ‘fit models’ use body scanners, have partnered with Volumental for body metrics information, consult with garment technicians and have created a 360-degree photography studio to provide the best possible fit solution. Part of the problem with fit is that even if data can give you an average size, that is unlikely to fit many people. People are not average, they are all different shapes with ranging proportions. A size 10 will look different on several size 10 women. As we shop less in physical stores, choosing instead to shop online, the problems with size and fit become even evident. Shopping online, we can’t try before we buy, so we add a few sizes of the same style in different sizes to our order with the intention to try once they arrive at home and send the ones that don’t fit back. According to KPMG a fifth of online fashion purchases include orders with multiple items of a similar size, shape or colours. These “intentional returns” have a huge financial implications for retailers, from returns processing to garment production. This is the exact problem that Jonny Sydes and The Bureau are hoping to solve. By providing a more accurate fit model in the first place to showing a better representation of clothing online The Bureau’s clients will reduce returns rates. Returns impacts profit margins and are bad news for sustainability. We are producing clothing based on the demand of the total number of sales rather than the number of garments that end up being kept by customers. This plays havoc with the supply chain. If you think fast fashion was bad, times that by the number of the garments sat in customers houses waiting to be returned and garments already in the returns system then we can begin to understand the scale of the problem. To make matters worse garments with clear signs that they have been worn are not resold but binned. Brands often work with many different factories across continents to produce their full range. Implementing a certain size across all factories can be hard work. So size sets, measurements and tolerances come into close scrutiny. Samples and garments not made to the right specifications can be binned or sent away to be resold as seconds. Again not great for sustainability. Clear Returns estimates that returns cost UK retailers £60bn a year, £20bn of which is generated by items bought over the internet. As the proportion of online purchases increases, so will the cost of returns. As we can see the issues associated with returns due to size will escalate in the future. The question we need to ask is what can we do now to help minimise the impact it has on people and the environment. If we consider the top emerging markets (rather than mature markets such as the UK) where there is more opportunity for fashion brands to sell product to, we become increasingly aware that the predominant customer size and fit for each of those countries is likely to be very different to the UK, and to each other. British and European fashion brands are extensively sought after by customers from emerging markets. Brands looking to capitalise on customers from emerging markets are faced with the decision whether to keep using current size measurements or adapt to suit a specific country, like China or South Korea. If they decide to change measurements it is a bold step that could make new customers happy and traditional customers annoyed. So whats the answer, should we and can we standardise size? Is it possible to prevent brands from making misleading ‘vanity sizes’? It’s our view that a size label should be a way to know what we are buying, from standardised measurements industry wide. Size should be factual, not subjective or opinionated. Fit should be down to how the designer envisages their creation, and also how the customer prefers something to look. Essentially we are being mis-sold to and that should have repercussions for consumer rights. Once again it’s time for the fashion industry to shape up! Special thanks to Jonny Sydes, Lucy Stephens and Fleur McGerr.